There is no greater gift to our students than supporting them in their Polk State journey. By donating to the Polk State College Foundation, we give hope to students who thought a degree was unattainable. We give them access to higher levels of learning they otherwise could not afford and we give them the opportunity to transform their lives through the power of education. These are the reasons I donate to the Foundation and I am grateful that Polk State is near and dear to the hearts of so many people who share in our mission of providing access to affordable, quality higher education. Polk State is dedicated to providing students with the knowledge and skills they need to be the next generation of successful leaders and employees. Thus, your donations to the Foundation contribute to the prosperity of our community. The generosity of our donors allow the Foundation to award nearly $1.5 million each year to our students, who are not shy about expressing their utmost appreciation for the transformative opportunities made possible by these scholarships. Their stories of perseverance and success are true testaments to the impact donors have on the lives of our students. That includes the philanthropic contributions of our hard-working, selfless employees who, in 2017 alone, donated $56,560 to the Foundation. Together, we are changing lives. Thank you for supporting our students. 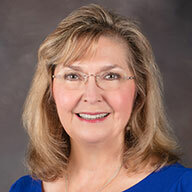 Cindy Hartley Ross is a Lakeland native and a graduate of Lakeland High School. She received her Polk State Associate in Arts degree in 1979 and studied Special Education at Troy State University. Community service has been ubiquitous in Ross’s life since serving as a hospital volunteer in middle school. In college, she was active in her Alpha Delta Pi sorority. While her children were young, she volunteered in a number of leadership roles in the Polk County School District. For her efforts, she was named Volunteer of the Year at two different schools, and received the President’s Volunteer Service Award and the Making Kids Count Award. 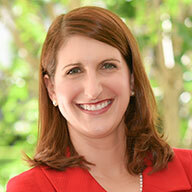 Ross was appointed to serve on the Florida Commission on the Status of Women in 2010. She currently serves on its Executive Committee and Foundation Board. She is also a member of the Board of Trustees for the Florida House in Washington, DC. The only state embassy in the capital, the Florida House showcases Florida’s culture and attributes, bringing national attention to the state’s assets. Ross also acts as Program Chairperson for the Republican Congressional Spouses in Washington, DC and is a member of The Congressional Club, a bipartisan spouse’s group. Locally, Ross is a member of the Polk Arts Alliance (PAA) Resource Council, having served the organization as president twice. She also is a member of the Board of Governors for the Polk Museum of Art. Formerly, she has served on the Advisory Board of Habitat for Humanity; the Lakeland Board of Directors for Girls, Inc.; and the Junior League of Greater Lakeland. In 2015, Ross was reappointed by Governor Scott to serve on the Polk State District Board of Trustees, having previously served for 12 consecutive years (1999-2011). During this time, she held the positions of Vice Chair and Chair. 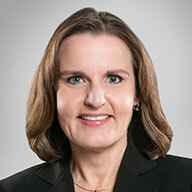 Additionally, she has served on the Polk State College Foundation Board of Directors, was President of the Polk State Alumni Association, and represented Polk State at the state and national level in trustee-related organizations. Ross’s involvement with the Polk State College Foundation began in 1999 while she was a member of the Republican Women’s Club. She saw the benefit of student scholarships and encouraged the group to endow a scholarship for Polk’s students. She has since been instrumental in the creation of additional scholarships, including memorial scholarships to honor two George Jenkins High School students, and two more scholarships in her family’s name. Cindy Ross has been married to Dennis since 1983. Their two adult children are both Polk State graduates: Shane graduated in 2012 and Travis in 2014. 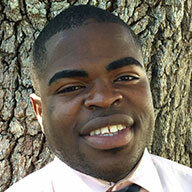 Additionally, more than fifteen members of Ross’s extended family have graduated from Polk State. In the aftermath of the earthquake, Jean Woody found his life’s purpose – to become a cardiac surgeon and help people in critical need of care. You should have recently received the annual Polk State College Employee Giving Campaign pamphlet in the mail. Each year that we create this brochure, I am eager to see the creative design produced by CNP (Clark Nikdel Powell). This year, I was struck by the poignant beauty of the eagle on the front of the card. Its symbolism is perfect for this College and its people–the broad wingspan mirrors the open arms and open doors we offer students, and the majestic flight reflects the distance students soar thanks to the positive impact made by generous donors like you. Thanks to each of you for the beautiful work you do and the contributions that you make. With your generosity you are changing lives and changing our community –and through it, the world.